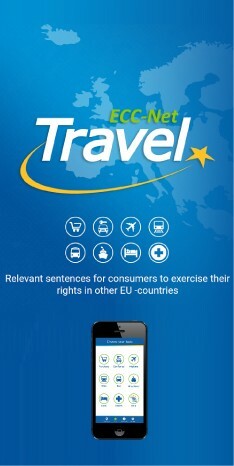 On October 28, 2011, The European Consumer Centres Network (ECC-Net) launches the report “Air Passengers Rights Report 2011 – in the aftermath of the Volcanic Ash Crisis”. The report focuses on several aspects regarding air passengers' rights in the EU today, in particular during 2010. During 2010, the volcanic ash crisis truly put the area of air passengers' rights (APR) and several aspects that directly affects the vast amount of European consumers that travel by airplane every day to the test. This report highlights the major aspects regarding APR throughout 2010 and assesses them from the ECC-Nets point of view. The report focuses extra on the issues and effects the volcanic ash crisis had on the area of APR. Shortly after the volcanic ash crisis of Eyjafjallajökull, a high number of affected passengers turned to airline companies, frustrated and dissatisfied with the general handling of their situation. A large number of issues arose and the legal framework, especially considering “extraordinary circumstances” and the application of Regulation 261/2004, became the center of the discussions. The ECC-Net has a unique possibility to view these issues directly from consumers and uses this report to take a closer look at the specific problems that were characteristic for this period of time and the following work done by National Enforcement Bodies regarding these problems. Besides the volcanic ash crisis difficulties, passengers also encounter other problems such as damaged baggage, reimbursement of taxes and charges, booking/re-bookings, delays and denied boarding. In 2010, the ECC-Net handled 71,292 cases, of which 44,000 were complaints. 33% of all complaints were in the area of transport, of those 57% concerned air passenger rights. Of the cases handled, 31 % reached an amicable settlement through i.e. intermediation of the ECC-Net between consumer and airline. The average amount of money involved in cases which were successful was € 509, indicating the importance of an effective enforcement of air passengers' rights were no amicable solution could be found. The amount of air passenger rights (APR) cases handled by the ECC-Net, increased by 59% in 2010 compared to 2009, which is impressive compared to the increase of 27 % in total complaints. It indicates the impact the volcano ash crisis had on the amount of complaints. The ECC-Net sees a clear trend that the number of cases regarding air passengers' rights handled by the ECC-Net has increased annually. There is a need for more ADR bodies and proper enforcement either through National Enforcement Bodies or European Small Claims Procedure. Difficulties with enforcement distort competition within the internal market, as some airlines comply, whilst others do not. The report also shows the need for a higher awareness amongst air passengers as they are generally unaware of their rights, with the result that there is a strong demand for help and assistance. It also shows the importance of responsibility from airlines within these areas. Knowing your rights is good, being able to exercise them is better. This should be the case for all passengers, regardless which airline they fly with or the country they depart from. The ECC-Net is made up of European Consumer Centres in 29 countries (27 EU Member States, plus Norway and Iceland), and is co-funded by the Health and Consumer Protection Directorate-General of the European Commission and by each of the Member States. The aim of the network is to create confidence in the European internal market by providing consumers with useful information on their rights, advice and help with cross-border purchases.